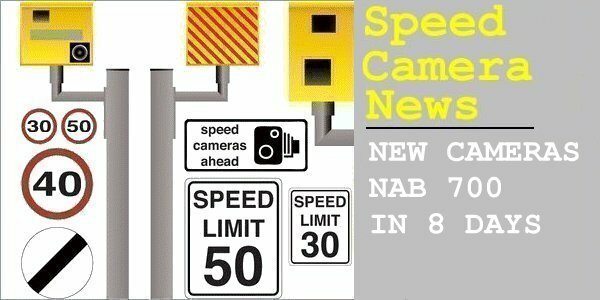 Over 700 speeding drivers have been issued notices of prosecution in just 8 days following the introduction of new speed cameras. The average speed cameras monitor a stretch of roadworks at the Bray viaduct on the A361, one of Devon's most dangerous roads. The 30mph speed limit at the viaduct will be monitored by the point-to-point cameras, while the 40mph surrounding approaches will be patrolled by speed detection vans and unmarked police vehicles. A spokesman for the Peninsula Road Safety Partnership said: "The average speed system and the 40 mph buffer either side are only a couple of miles long, there is no excuse for the aggressive tailgating and reckless overtakes we have already witnessed within the area of the road works." He added: "Speed detection vans and unmarked police vehicles will be patrolling the A361 to ensure the small minority of motorists who do not consider such speed limits, which have been imposed for safety of the road engineers and all road users, as applying to them, are prosecuted for any offences they may commit within the buffer zone. Those that choose to exceed the 30mph limit within the average speed system will automatically receive a notice of intended prosecution in the post." So they should, putting road workers at extra risk. Yet again an example of UK driving standards.